Matthew Apgar - mapgar@shawmedia.com Gabriel Williams of the Huntley Fire Department uses a dumbbell to work his triceps at the station on Tuesday, Oct. 06, 2015 in Huntley. 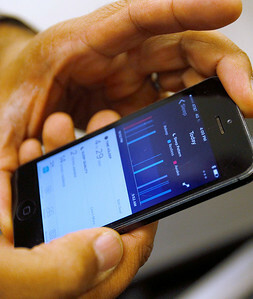 Fire department members have been issued department subsidized FitBit wearable to help track exercise and sleep patterns. Matthew Apgar - mapgar@shawmedia.com Gabriel Williams of the Huntley Fire Department uses exercise equipment at the station on Tuesday, Oct. 06, 2015 in Huntley. Fire department members have been issued department subsidized FitBit wearable to help track exercise and sleep patterns. Matthew Apgar - mapgar@shawmedia.com Patrick Gordon, front, and Gabriel Willams of the Huntley Fire Department gets exercise at the station on Tuesday, Oct. 06, 2015 in Huntley. 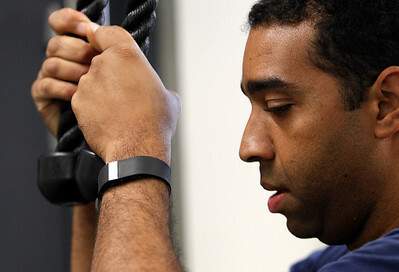 Fire department members have been issued department subsidized FitBit wearable to help track exercise and sleep patterns. Matthew Apgar - mapgar@shawmedia.com Patrick Gordon of the Huntley Fire Department shows his FitBit Surge at the station on Tuesday, Oct. 06, 2015 in Huntley. Fire department members have been issued department subsidized FitBit wearable to help track exercise and sleep patterns. Matthew Apgar - mapgar@shawmedia.com Gabriel Williams of the Huntley Fire Department shows the app he uses to track his fitness and sleep schedules on Tuesday, Oct. 06, 2015 in Huntley. Fire department members have been issued department subsidized FitBit wearable to help track exercise and sleep patterns. 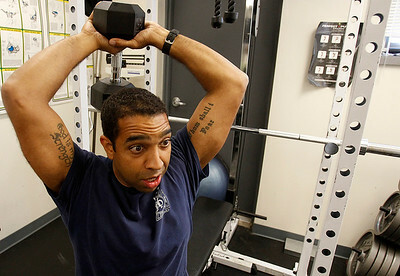 Gabriel Williams of the Huntley Fire Department uses a dumbbell to work his triceps at the station on Tuesday, Oct. 06, 2015 in Huntley. 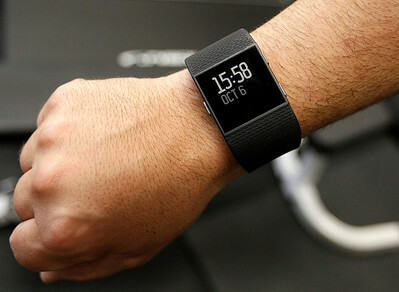 Fire department members have been issued department subsidized FitBit wearable to help track exercise and sleep patterns.